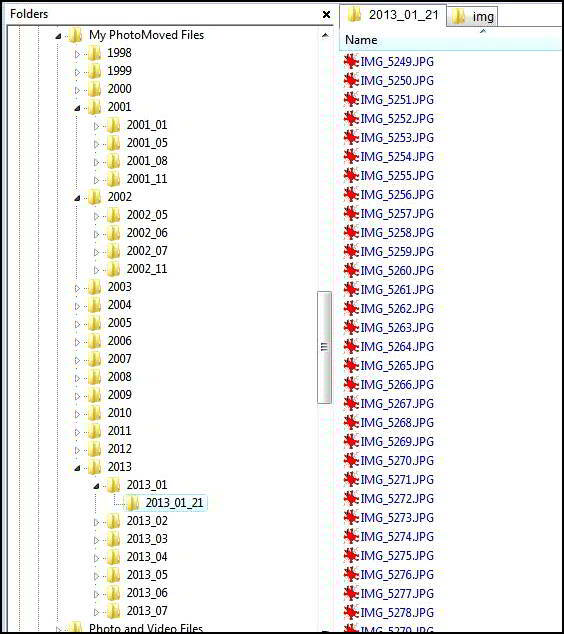 This is what the folder options drop down looks like when you running PhotoMove. 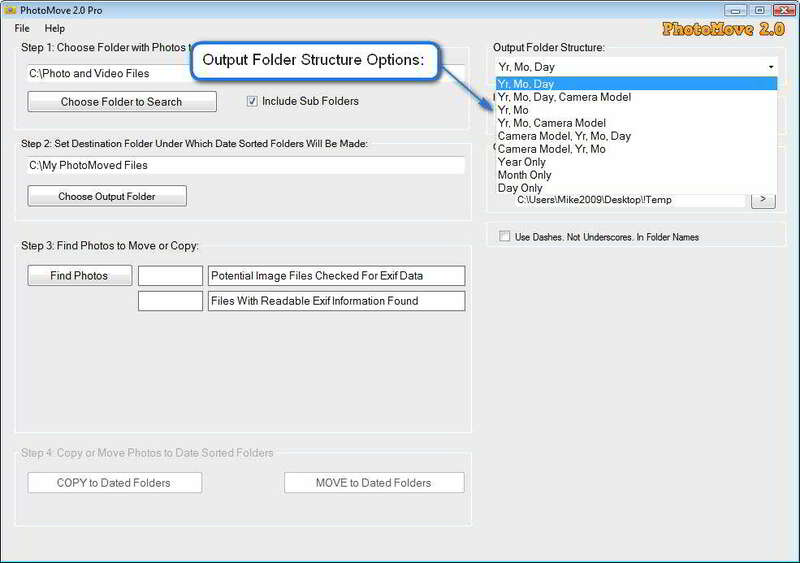 Select an item from the dropdown list to set the output folder structure you want to use. I purchased the Pro version of PhotoMove 2 yesterday and used it for the first time overnight. I must say this is going to save me a huge amount of time organizing many years of photos over many platforms and packages (Mac, PC, Aperture, Lightroom, ACDSee ect) so it is well worth the price. Great work! Incredible, I’ve been looking for such a program for long. Absolutely brilliant program, thank you, easily worth the price for the Pro version. I have years of photos I have been putting off sorting (cause I had no idea how or where to start) and PhotoMove 2 has done it all for me for free. Having read the user comments I went straight to Photomove 2.5 Pro. This program is very very easy to use! I must confess I did not even bother to look at the instructions! In about 2 hours I have been able to find and totally organise 32,000+ photos, including multiple duplicates in multiple file types that were spread all over my HDD. I now have just two properly organised folders, by date and by camera. Wonderful, this will save me so much time! Photomove 2.5 Pro installed and runs faultlessly on my Windows 10 (x64) computer. I cannot recommend this software highly enough – I guarantee you will be impressed too! You are simply the best!! Thanks a lot for integrating the “YYYY_MM_DD” folder structure! !